An all-screen display with a camera mechanism. The device looks beautiful, premium and has no bezels at all . The build is one of the best you can get on a flagship device. It has super Vooc charging that charges your phone in 30 mins. So far, a great device but a little expensive. 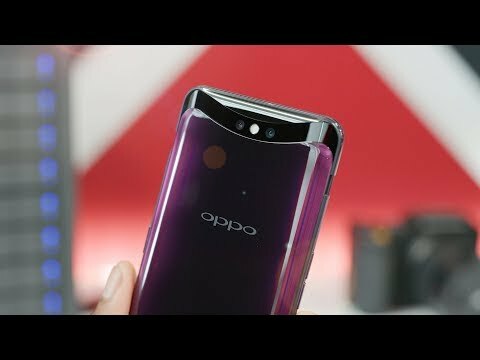 2 Pricebaba users have written their experience with Oppo Find X. If you own Oppo Find X, please do leave your feedback too. Lowest price of Oppo Find X price in India starts at Rs. 58,990 Oppo Find X is available on Flipkart at Rs. 58,990. Prices updated on 26th April 2019. Introducing the first panoramic arc screen, Oppo Find X uses two glasses for the front screen to deliver a gorgeous view and design. Here’s a glimpse of the features that give Oppo Find X enhanced performance. Oppo Find X boasts of a 6.4-inch AMOLED display, 2340 x 1080 resolution, 19.5:9 aspect ratio, and 93.8% screen ratio which deliver a stunning panoramic view and immersive experience. The device is equipped with stealth 3D cameras that are hidden and features many technologies such as multiple intricate sensors, dual camera, front camera, and 3D face recognition system. On the back, Oppo Find X contains 20 MP + 16 MP with f2.0 and f2.0 aperture. The front camera is 25 MP with f2.0 aperture. The phone’s 3D face recognition uses intelligent analysis and 15,000 facial dots to safely unlock your phone in seconds. The phone is packed with a Qualcomm Snapdragon 845 along with an 8 GB RAM which makes it faster and offers an exceptional performance. The internal storage is 256 GB which enables efficient data processing with the enhanced gaming experience. Powered by 3,730 mAh battery, the phone has VOOC flash charge for rapid charging. Oppo Find X supports 4G, 3G, 2G, GPS, Bluetooth, USB, VoLTE, WiFi, GSM, WCDMA, and dual sim connectivity. Oppo Find X comes with Android Oreo 8.1, which offers better performance, enhanced experience, and high multitasking capabilities.